Amir Khan could make a final decision regarding his next fight within a week. The former junior welterweight world titleholder has a $5 million guarantee to face WBO 147-pound world champion Terence Crawford on March 23 ESPN pay-per-view. As previously reported by FightNights.com, there are at least three venues in consideration, with Madison Square Garden in New York City getting the most attention. On the other foot, Khan has the long-awaited showdown with domestic rival Kell Brook, which is also being targeted for early 2019. According to Eddie Hearn, Khan's promoter at Matchroom Sport, the Bolton fighter and 2004 Olympic silver medalist would earn at least $10 million. Brook returned to the ring on Saturday night in his hometown of Sheffield, and looked flat in outpointing Michael Zerafa. A loss to Crawford, who is regarded by as many as the best pound-for-pound fighter in the world, would not damage Khan's career. However, a loss to Brook would likely have the opposite effect. Of course, boxing is a business after all. 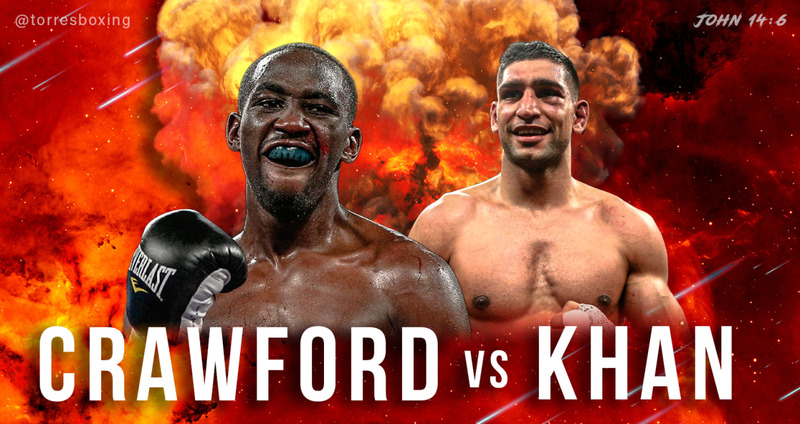 Although Crawford is the more dangerous fight on paper, it might be the smarter investment for Khan. "I've told Amir it is now or never - I think he will decide in the next week. He may sign the Crawford fight. Before tonight I would have said he would go with the Crawford fight... (but) Kell looked average tonight. If you weren't sure before tonight, which he's not because it is one or the other, then surely that is going to make you more sure," Hearn told Daily Mail. "Are they still in the primes of their career? There is an argument that Kell is not as good as when he fought Shawn Porter [to win the world title in 2014], maybe Amir is not as good as when he boxed [Marcos] Maidana [in 2010], but they're still world class fighters. After that performance, I have to say Amir is the favorite. It sells out any arena in double-quick time. I think it sells around 60 or 70,000. People will forget about that [Zerafa] performance two days later. It is chip paper. People will know about the history and the build-up. When they get together, it will be epic."